Christmas trees are one of the standard shapes for the season's arsenal. There are so many ways to decorate them. Here's a few simple designs for basic evergreen cookies. The first one makes use of sprinkles (sprinkles found HERE) and edible clay (recipe found HERE) to decorate up a tree super fast and yet, super festive at the same time. Check out the photos and video for visual details. Outline and flood the tree with green glaze. While still wet, cover glaze with sprinkles and shake off excess. Completely fill a silicone button mold with red edible clay. (Mold shown found HERE.) Place the filled mold in the freezer for 1 hour or more. After at least one hour of the clay freezing in the button silicone mold, you should be able to pop it out and place it directly on the top of the tree. For the other tree designs, start by coloring the trunk with a brown food color marker (Americolor brown marker found in THIS SET). 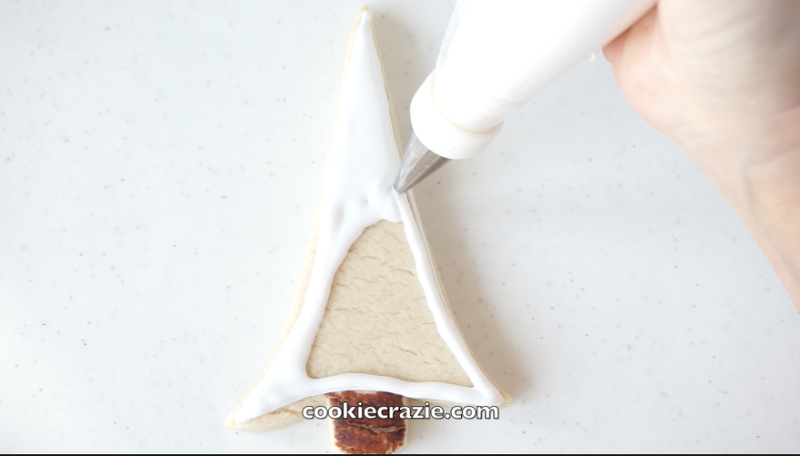 Outline and flood the tree with white glaze. Here's where the variance comes in. 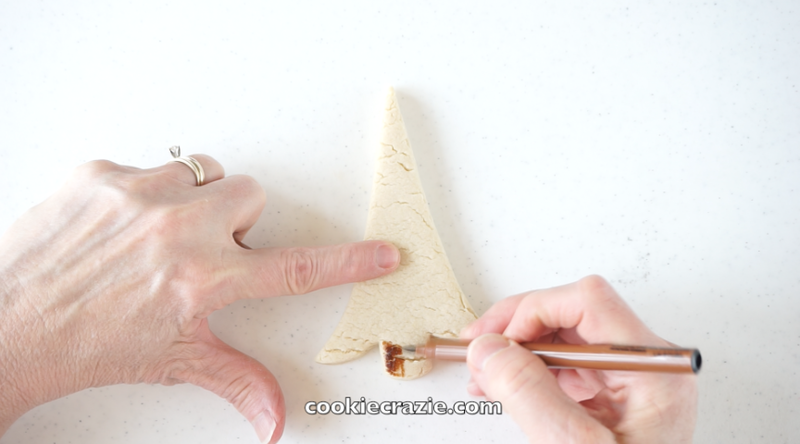 Using green glaze, you can make various patterns on the tree using the wet-on-wet technique. For this particular design, go back and forth with a sweeping swag motion. (see video for more visual detail). For this design, make horizontal scallops with green glaze all the way down the tree. For each of these three final designs, allow the initial flood to dry for at least 30 minutes, and then go back and add a layer of the same pattern on top of the wet on wet surface to give it a 3D look.